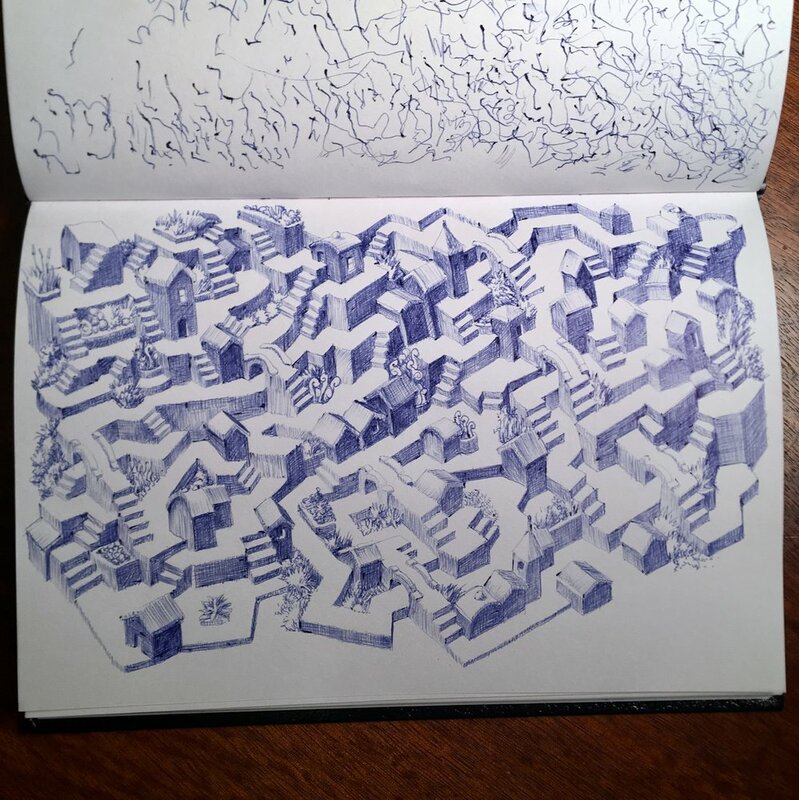 Here’s a little maze I did in ballpoint pen. Unusually, I didn’t lay it out first, just started in the uppper left and worked across the page. Real iRobot plotter style. The squiggles at the top are cleaning my pen. I still get globbies though. I’m not sure how the pros avoid it. I’ve been playing around with ballpoint for a few weeks now, practicing patience and control. I’ve posted a some on my Instagram, but most I will hide until I get better. I have a ways to go! There are several artists I follow who do ballpoint work, like Nicolas Sanchez and Guno Park.